Year 12 Emily joined Blue Coat in September 2018, not just because her twin Isaac was already here, but also because she was looking for a challenge. 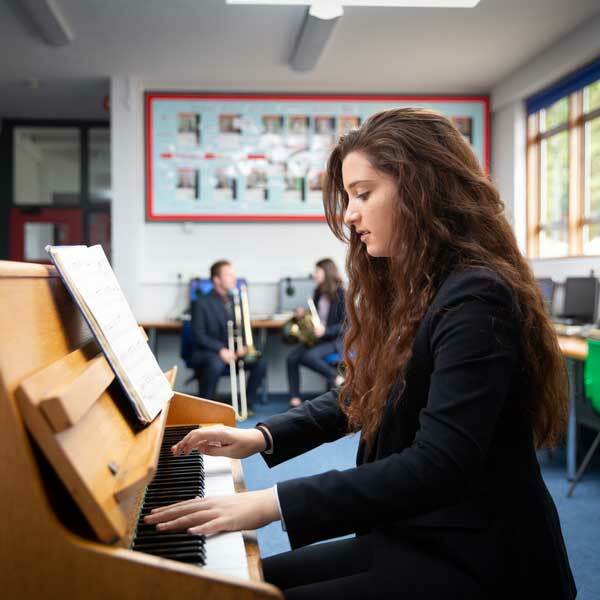 Emily is taking Music as an A Level subject; she’s currently doing Grade 7 in piano and singing, and teaching herself to play the guitar. She’s also in the inaugural Girls’ Chamber Choir and is playing a member of the girls’ group in Blue Coat’s production of ‘Little Shop of Horrors’. Emily has also joined the School Council, which involves talking to her peers about school issues and discussing possible changes. She is also working towards her Duke of Edinburgh’s Gold Award, and has signed up for the World Expertise trip to Nepal next summer. Emily’s other A Level subjects are Chemistry and Biology, and she is doing an Extended Project Qualification on the history of the effect of anaesthetic on the animal brain – as she hopes to become a vet. As she has ridden horses since the age of six, Emily is particularly interested in working in an equine facility.